Are We Marking Assignments or Assessing Learning? There has been much focus on shifting our assessment practices in education and, particularly in BC, moving toward more Assessment For Learning (or formative assessment) in schools. This is such an important conversation and needed change but at some point along the way, Assessment OF Learning (or summative assessment) has been given a bad rap. To have sound assessment practices in a classroom and school, we need a solid balance of ongoing formative assessment (click here for more info) as well as an effective way to verify that learning has occurred (summative). Formative assessment should be where we spend most of our time, but summative assessments are still very important. Are we marking assignments or assessing learning outcomes? Although I failed to provide enough time to discuss this at our staff meeting, the conversation spilled over into the hallways and the staff meeting the next morning as teachers engaged in some (at times frustrating) dialogue around the topic of summative assessment. For the vast majority of the teaching portion of my career (high school math/science/PE as well as intermediate), I developed assignments and tests/quizzes based on the curriculum, arbitrarily assigned each question or portion of the project a point total, and then marked students work based on their “learning” demonstrated in each question/portion. I would then tally the points and give them a total like 17/21. This is how I was assessed in school and how most of the teachers around me at the time assessed student work. In my 6th year of teaching, I was evaluated by my principal and during this, he asked me a question that changed my mindset on assessment. At the time, I was fond of my spreadsheets and all the marks that I had in them (I now look back and realized how I used spreadsheets to fool parents, students, and myself into thinking that assessment was objective). There was a student in my math class that was failing and we were discussing my frustrations with her because she did well on tests and quizzes but never handed in any assignments (I was even marking homework at the time… ugh). He asked me, “what are you assessing?”. I responded proudly with my knowledge of the curricular outcomes and he challenged me by saying, “do you think that you are adding to other aspects of your class to the assessment?” and he continued to ask, “are you assessing tasks or assessing the outcomes?”. I stopped and had no response. I was failing a student who knew many of the learning outcomes… simply because she did not hand in or complete all of her work. She actually had learned something in my class and I failed to acknowledge this. 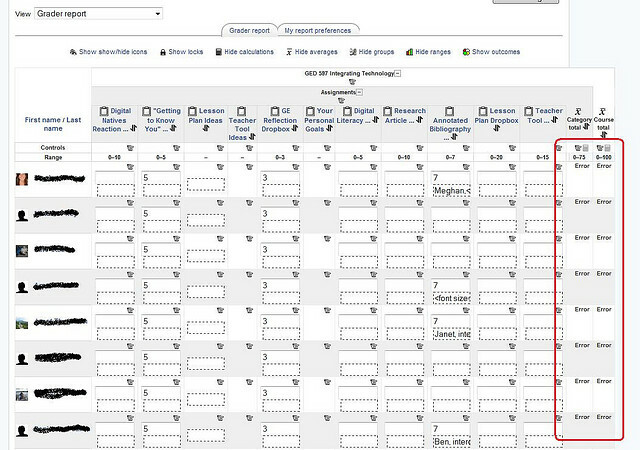 The marking system I used was great for putting into a computerized grade book to come up with a percentage but I had very little knowledge of which outcomes the students had learned and which they struggled. This system also provided me with very little feedback on my teaching. The dialogue between my principal and I continued but from that point on, I started planning the assignments and summative assessments not based on tasks, but with the learning outcomes in mind. As I moved into vice principalship and life in an intermediate classroom (grades 5 and 6), I continued to plan with the outcomes in mind. Assignments, projects and quizzes were based on the learning outcomes. Each section was an assessment of an outcome. My spreadsheet shifted from arbitrary points on assignments and randomly weighted tasks to how each child was assessed on the learning outcomes. By planning my assessments with outcomes in mind, I found I marked WAY less and had a better understanding of where my students were at in their learning. Check out a good video from Rick Wormeli on grade books at the bottom of this post. Are we marking assignments or are we assessing LEARNING? What do we need to do right now to start to make this shift in our schools? How are you making this shift? It is no secret that an area of education in which I am passionate is assessment – in particular Assessment For Learning or Formative Assessment. The work of Dylan Williams, Ruth Sutton, Rick Stiggins, John Hattie, Ken O’Connor and Anne Davies have had a significant impact on my thoughts around assessment but since last year, I have had the opportunity to work closely with another local (BC) educator around assessment and grading: Tom Schimmer. Tom and I met through Twitter and since then, have met face to face as well as over the phone a number of times (see my notes from his presentation here). His mentorship around creating change in schools in the area of assessment will help me for years to come as we move away from the traditional practices to more current ones that benefit student learning. His book “10 Things That Matter From Assessment to Grading” is highly recommended as a practical way to encourage shifts in your classroom and schools. In our recent #BCEd Chat on Monday November 4, the topic was “the link between assessment and learning”. It was a great discussion and at the end, I asked “So we all agree that AFL (assessment for learning) is one of the most powerful tools for student learning; why is this practice not in every school and every classroom?”. HOW can we work to changing the mindset so AFL is the norm in each classroom? In a system in which class sizes are not getting smaller, and money and time is tight, HOW can we implement changes so that AFL becomes more of the norm in BC schools? How do we move toward Assessment For Learning in a system that requires grades, percentages, and report cards? 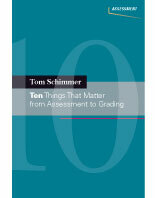 In June, I offered our intermediate teachers the opportunity to attend, with me, a one day session with Tom Schimmer on the topic of “10 Things That Matter From Assessment to Grading” (based on his newly released book of the same name). I have been connected with Tom for about 8 months and we have had some powerful conversations around the topics of assessment, motivation and leadership through Twitter, in person, and on the good ole telephone. If you ever get a chance to see/hear Tom speak: do it (you can view some of his other presentation slides here). 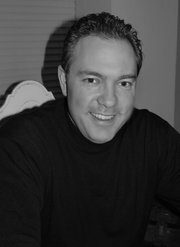 Be sure to check out Tom’s blog and follow him on Twitter. The way I often take notes during sessions is to Tweet out comments and info that cause me to pause and reflect. Although this probably does not “flow” too well, here are my notes from the day (all those without reference are quotes from Tom – I may have missed some references.). Thank you, Tom, for the learning and permission to post this on my blog. “How much better would our kids do when the threat of failure has been taken off the table? An example of what a class can be if we begin move away from a focus on grades, worksheets and tests and make learning more real for our students.